Word on the beauty streets is that silica’s trying to kill you. It’s the latest ingredient to be accused of giving you silicosis and all sorts of nasty diseases. Once the rumours start, everyone adds its fair share of gossips and side effects. We don’t do gossip here (that’s why I won’t go into the whole Erica vs Coastal Scents controversy that’s on everyone’s mouth atm). We do science. And when there’s a scare like this, it’s to science we need to turn to (even if it isn’t as funny as watching two people argue). So, what does the science says about silica in cosmetics? Is it really killing you or not? Silica is one of the most common minerals on earth. You can find it in sandstone, clay, granite and even in parts of plants and animals. You can also make it synthetically in a lab. You get some of it when you eat fruits and vegs and it helps keep your joints flexible, your bones and teeth strong and your skin glowing. Why Is Silica Used In Cosmetics? It absorbs oil and sweat, so your makeup lasts longer and you don’t look like a frying pan all day. It helps your makeup adhere to your face better. It thickens the consistency of a cream or lotion. It helps foundations spread onto your skin more easily. It improves even distribution of pigments in cosmetics, preventing them from settling in makeup. So, What’s “Bad” With Silica? Well, silica can cause silicosis. For those who aren’t familiar with it, it’s a lung condition that causes inflammation in the lining of the lung. Overtime, lung tissues become thickened and scarred. But, and this is an important but, the type of silica that causes silicosis is crystalline silica. It’s dangerous for you only when you inhale way too much of it. So, if you were a miner not using a mask, you’d do well to worry. But, if you only use cosmetics? What Type Of Silica Is Used In Cosmetics? Hydrated silica. Aka silicone dioxide. This is a solid spherical powder that doesn’t interact with your lungs the way that crystalline silica does. So, if you’ve been wondering whether you should go out and buy a jar of MUFE HD Powder, do it safely. This is what happens when well-meaning people read something online without looking at the science first. They get scared, warn others in good faith and cause an unnecessary stir. Unless you’re allergic to silica, there’s no reason why it shouldn’t be in your cosmetics. 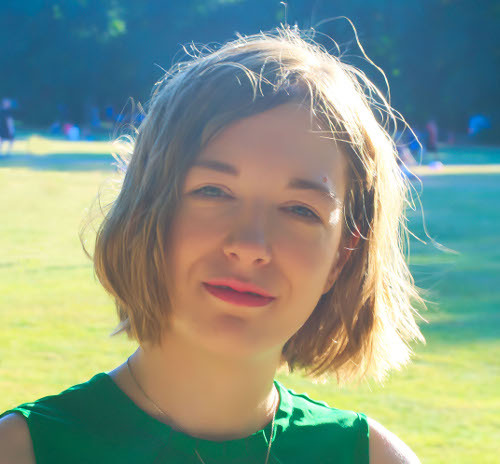 Do you use cosmetics with silica or has this whole controversy put you off? *whew* thanks for the great informative post, I’ve been wondering about that but always get sidetracked with the Coastal Scents problem , the owner and a buyer ! Silica allergy is very rare and without it, makeup will not be the same. Great post. That whole issue has gotten ridiculously huge. Nikki: you’re welcome. I guess lots of poeple that know about the controversy tend to take sides and forget about the actual cause of the problem, ie whether silica is dangerous or not. I know I got a bit sidetracked at first too, but now the whole thing has gotten blown up of all proportions, it’s ridiculous. Dao: Silica is one of the top oil absorbes and really improves the staying power of their cosmetics as well as their smoothness and spread. The only rason not to use it is if you’re allergic to it, but like you pointed out, that’s a rare case. What are the allergic reactions? I usually don’t use cosmetics, but decided to use Regenerist contour and lift at-home treatment, which contains silica. Within a couple of hours my heart started racing. May be a coincidence. Well, symptoms of allergic reactions are usually rashes, redness, breakouts and irritation. Silica can cause nausea but only if inhaled or ingested. I highly doubt silica in cosmetics can make your head spin, it’s probably just a coincidence. I would recommend consulting your physician. He/she will be able to tell the actual cause of your symtoms. My son is six months old and I’m still breastfeeding him. Is it still OK to use this product..
using silica cosmetics while breastfeeding should be ok, but I highly recommend you consult your physican before doing so. Where did you obtain the information used on this article? Lily, I got this information from cosmeticsinfo.org. hope this helps. You get your product safety information from an industry trade group that has previously lobbied against safe cosmetics legislation? Really? http://www.cosmeticsinfo.org/ is run by the Personal Care Products Council. BTW, crystalline silica is just another name for sand or quartz, and it’s not good for your lungs, even in small quantities. The more “grounded” (you meant ground) it is, the more likely it will be inhaled in powder form. “Crystalline silica is widely used in lipsticks, lip gloss, eye shadow, eye liner, foundation, sunscreen, lotion and shampoo.” and “NIOSH raises concerns about lung cancer in animals exposed to crystalline silica; and this chemical can target eyes and the respiratory system through inhalation, and skin and eye contact.” So it doesn’t even have to be breathed in to be potentially harmful. Your attitude seems to be the opposite of the precautionary principle. You do a disservice to your readers. Safety First, yes, really. There’s nothing wrong with lobbying against a legislation that would massively increase costs to companies and prices to consumers WITHOUT making products any safer. My sources may be biased, but at least they get their information from scientific studies. The EWG and Campaign For Safe Cosmetics are just as biased, but get their information by twisting those studies. For example, they claim that just because something is toxic at 100% concentrations, they’re dangerous at 1%, too. They say that just because something is harmful when ingested, it is harmful when topically applied, even though very few substances can penetrate through skin, and whoever says otherwise obviously was paying no attention at science class in school. They say that because a substance gives cancer to rats, it will automatically cause cancer in humans, too. They don’t take into consideration dose, method of exposure, etc, which is why reputable scientists ALWAYS refute their conclusions. In short, the EWG and Campaign For Safe Cosmetics are NOT reliable sources. Far from protecting consumers, they’re scaring people into giving them money to fight a made-up cause. The study you cite about silica again was performed on animals. Do you have any scientific proof that, in the tiny amounts used in cosmetics and the way people use those cosmetics, causes harm to human health? Because I haven’t come across any yet. You are more than free to avoid this ingredient, but that doesn’t mean it’s a killer. I use the precautionary principle when it makes sense to do so. Do you know that cars kill more people than planes? And both kill more people than cosmetics with silica? Yet, I bet you still use cars all the time. It never fails to amaze me how people can underestimate, and take, big risks like car accidents all the time, and yet they make a big fuss about cosmetics, when no one yet has died for using cosmetics with silica, parabens, etc. If putting things in perspective, and telling my readers not to worry about non-issues is a disservice, than yes, I’m guilty as charged. I am really getting annoyed by people getting in a tizzy becuase of things like this. People make up their minds and spew out a bunch of “facts” without actual knowing what they are talking about. From sunscreen to talc and parabens. I think its time somone steps up and clears up this paraben nonsense. Dont wear paraben makeup! but its still okay to eat blueberries and other plants even though they naturally contain parabens. Ryan, it’s a shame people are so easily scared and stop buying perfectly safe products instead than looking up the scientific facts. They’d realise then that there is really nothing to be worried about. I hope this article will help set the record straight on this issue. Actually, parabens are broken down in the stomach. Eating them is fine. It’s through the skin that’s the problem. I’d always suggest caution with any chemical that’s new and untested. I avoid all minerals too because they aren’t soluble and IF they get in your lungs, they MIGHT stay there. Ben, there is no proof that parabens are bad for you when applied topically yet. There is some proof that they can penetrate skin but the body gets rid of them within 3 days so their accumulation shouldn’t be a concern. As for minerals, I think that they’re bad only when inhaled in large quantities. If you apply it carefully, the minimal amount on silica you put on your skin isn’t a problem. I understand that not everyone is comfortable using these ingredients and may like to wait until we have further information, but we shouldn’t become paranoid either. After all, everything in concentrations high enough can be harmful. It’s a personal choice. Like many things in life. If you use parabens regularly then they will be constantly present. Lung cancer is more and more prevalent. Who knows what causes what. Evidence can take years or decades to appear. In my opinion, caution and common-sense is the best policy when it comes to health. But I can understand people preferring to be care-free. Ben, I do agree that in the end it’s a personal choice but I don’t see why people who decide to trust science are care-free. If the body gets rid of parabens after 3 days, then their levels are always gonna remain stable and too low to cause any harm. Further studies on parabens are certainly needed but all the doctors and dermatologists I’ve talked to so far believe they aren’t bad and no study has as yet proved they are. Until then, I’ll keep using them. Cigarettes cause lung cancer. Air pollution causes lung cancer. Even if some minerals caused it, you’d have to be exposed to huge quantities of them. The crap we breathe (and eat) every day will kill us off sooner. We should all exercise caution when it comes to our health, but we shouldn’t be paranoid either. After all, everything can be bad in large enough doses. For instance, in high amounts, Vitamin C is toxic. Does that mean that we have to stop using that too? All plants and water contain substances that can be toxic and carcinogenic but because they are present in them in such small quantities our body manages to get rid of them so they won’t harm us. In the end, it’s the quantity that makes the poison. Yes, you already said all that. It’s not paranoid to value your health over your beauty products. It’s common sense. But if you are exposing yourself to a load of other crap in life (care-free), then you may as well breathe in little bits of rock and carcinogenic mineral compounds like titanium dioxide too. Go for it. Ben, there’s no need for such sarcasm. I agree with you that your health is more important than beauty products. My point is that parabens, silica and other ingredients haven’t been proven to cause cancer yet and so I don’t see any reason to avoid them. If a link should be found, I will be the first to stop using these ingredients and tell my readers to do the same. If we were to avoid all potential dangers, we couldn’t even cross the street or take a plane, for instance. It’s up to each one of us to assess whether a risk is worth taking. As for me, if science tells me something isn’t harmful I’ll use it, and I don’t believe I’m being carefree for doing so. After all, if we can’t trust peer reviewed, double blind studies, what can we trust? What if you are sifting silica all over your house for pest control, on your bedding, blankets and sheets. Wouldn’t you be inhaling this dust and get ill? Angel, I’m afraid I don’t know what type of silica is used for pest control so I’m not sure what to say. Do the instruction of the packaging mention anything about it? In general, though, it’s the dose that makes the poison, so using it for a long period of time may be harmful for human health. But as I mention, my knowledge of silica is limited to the type used in cosmetics, sorry. TShea, I believe that could be a concern if you’re exposed to high quantities of silica. If you use only a tiny amount, and are careful not to inhale it during application, you’ll be fine. I’ve always wondered about silica in cosmetics. I used to work with the bridge crew for my state’s department of transportation and we had to wear masks to cover our face because of silica. If it was used in the building of anything and then it’s disturbed it can ’cause a huge medical issue, not just mining. Since then I’ve been overly cautious of anything containing silica because of that fear (some of the training videos were not pretty). So it’s good to know that the silica in cosmetics/beauty products is safe to use. Thanks for the awesome post! Bree, you’re welcome, and thank you for sharing your experience with us. Inhaling a big amount of silica can be very dangerous indeed. Thankfully, the type used in cosmetics is harmless. Carlos, your English is fine. I believe they are using the microspheres form. That’s what’s usually used in this type of products. In any case, if you used properly, by following the instructions diligently, it shouldn’t cause any problems at all. I have to dissagree with the statement about miners not wearing masks/not needing them. I can’t speak for miners, but silicosis is very real for anyone working with clay, ceramics etc. most ceramic studios have osha certified ventilation systems, when I worked in the studio processing dry clay, I had to wear a special respirator and everything. One thing that concerns me, cosmetic labels don’t say what kind of silica is used. How can you tell if it’s the safe version or not? Potter, I did say that miners do wear masks. They need them. I also said that UNLESS you are a miner, you don’t need to worry about silica. Saying unless you work with huge quantities of silica, you’re not a risk would probably have been better, as there other professions that may make workers at risk of contracting silicosis. But the point remains, that silica in cosmetics is not dangerous. Silica microsheres is the type of silica approved for use in cosmetics. 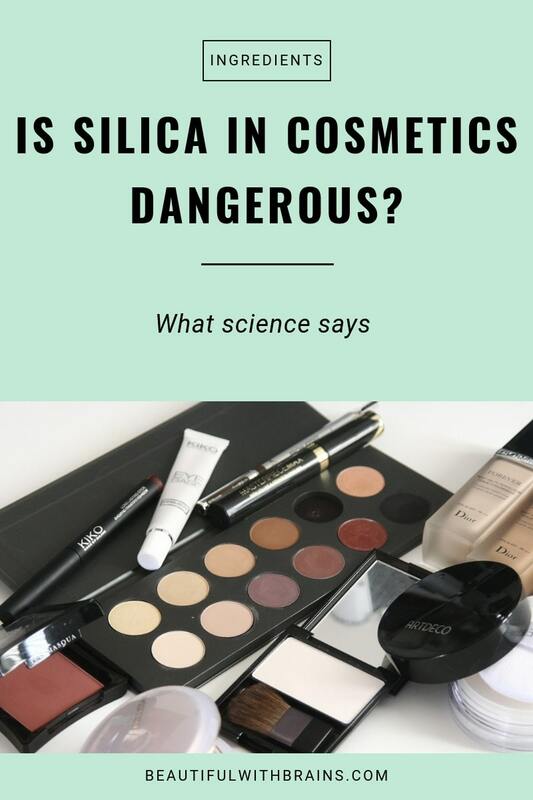 I don’t think companies can use any other type of silica without getting into trouble., Contrary to public opinion, it is illegal to add toxic stuff to cosmetics. Safety First, I urge you to take your own advice, and take information from science, not scaremongering groups that have more interest in enriching themselves than protecting people. Pretty much anything that’s written in that article is twisted to suit their agenda. Like the claim that the EU has banned more chemicals from cosmetics than the US. True, but do you know that those chemicals are NEVER use in cosmetics anyway? What’s the point of banning something if no one uses it? You see how easy it is to scare people? Hi thank you for the post, I’ve always wondered about silica too. Unfortunately, I believe I may be allergic to it. Makeup containing silica always causes my face to itchy and feel really irritated. It caused lots of little bumps on my face. Luckily that was the extend of my allergic reaction. I switched to a natural makeup that doesn’t contain silica and my face hasn’t been irritated since. Ro, thank you for sharing your experience. I’m sorry you are allergic to silica, but glad you’ve found something that works for you. I would like to know if there is any foundation that is full coverage for excessively oily skin that does NOT have any silica products in it. I have become toxic to them and my skin needs makeup. I have developed an extremely allergic reaction to them that is causing my health to decline. Also do you know that there is silica in many vitamins? I had to throw out virtually everything I was taking because in Other Ingredients: Silica is listed on almost all of them. K, I’m sorry to hear about your problem. Must be so frustrating, especially since silica is everywhere. Have you tried Make up For Ever face & Body Liquid Makeup or Ultra HD Invisible Cover Stick Foundation? They shouldn’t contain silica, although you may want to double check. Hope this helps. I used Naked Cosmetics HD pore reducing something or other which has two ingredients- talc and silica. Within 12 hours my throat was on fire and developed allergy symptoms for 2 days. Tried again after I was well to see if it was a coincidence and same thing happened. I don’t have any other powders that contain silica, only talc. I’m sure I breathed in the silica. Ive now thrown out all matte lipsticks I have that contain Silica and will never use it again. Just read this post and I think it helped. I recently switched deodorant and my armpits completely broke out into a rash almost looking pimple like but not quite. It spread down my arm and a bit down the side of my chest. I looked at the ingredients on the new deodorant and compared to the deodorant I had previously been using. One of the ingredients contained in the new deodorant was silica. I did a bit of research on the ingredient and many websites said that it was a “known skin irritant”. Do you think that the Silica could have caused the reaction? Kennedy, anything, even the gentlest of ingredients, could potentially cause an irritation to someone. There are people who can’t use water, for example. If that’s the only new ingredient in your new deodorant, I’d say that’s the culprit. Or are there any other differences between your new and old deodorants? The old deodorant, and the one I have gone back to, is the Olay Secret Deodorant with I have never reacted to before. The one I just recently broke out using was labelled as an all natural ingredients deodorant, so basically all of the ingredients were different. Most of the ingredients were plant derived, some of the ones I can remember being corn and seaweed derived. However, doing more research I looked into another deodorant that I react to, Dove Stick Antiperspirant Deodorant, which also contains Silica. Kennedy, thanks for sharing your experience. Do you think silica was the culprit? Was it in the natural deodorant too? I think silica is the issue, I can’t see anything else that would have caused it (unless I am missing something). Silica was in the natural deodorant. Check to see if the natural deordorant has baking soda. It is common for baking soda to cause irritation. Also you could be having a reaction to a particular fragrance or particular essential oil. I’m not saying it is not silica; but, reactions to baking soda, fragrance, and essential oils are more common. Without a proper allergy test you can’t know for sure. Also, it could be the pH of the product that is causing issues with your skin. Some deordorants out there are very alkaline. Kennedy, I see. At least now you know what to avoid. I think the fact that it’s an FDA-approved ingredient makes it def NOT dangerous, but it could still clog our pores, right? Rosie, no it’s not dangerous but it’s not very comedogenic either. In fact, it has absorbent properties that can soak up excess oil and keep your pores free from clogs. Curious as to the silicas so widely used in hair powders these last few years. The ones that create light fluffy clouds of oil absorbing puffs. These are not crystalline silica but hydrated silica? Thank you for you input. Audrey, .the U.S. Food & Drug Administration (FDA) categorised silica as to be Generally Recognized As Safe (GRAS). So, it’s safe to use it. Whew! … I’m certainly here to read up on this ingredient because I see it in a few products I am currently using ( L.A Girl HD powder). I appreciate the beakdown and am surly happy that I am not exposed to anything harmful.